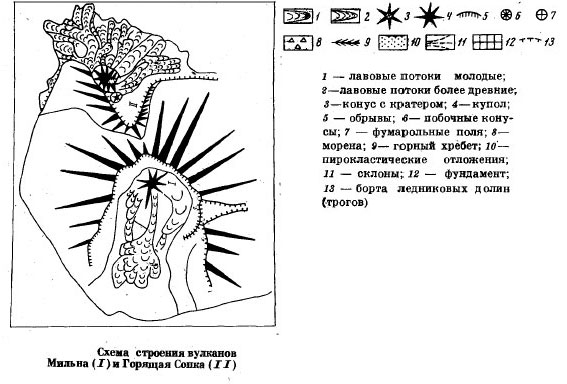 Scheme of Uratman volcano structure. 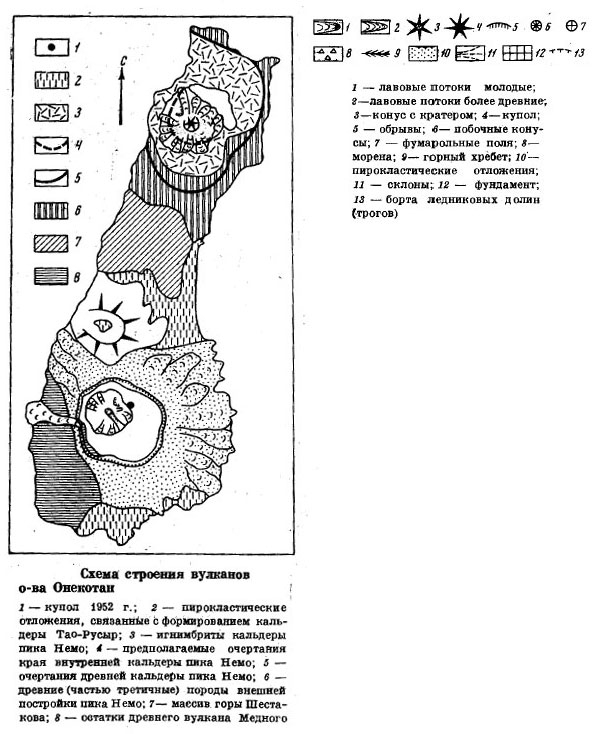 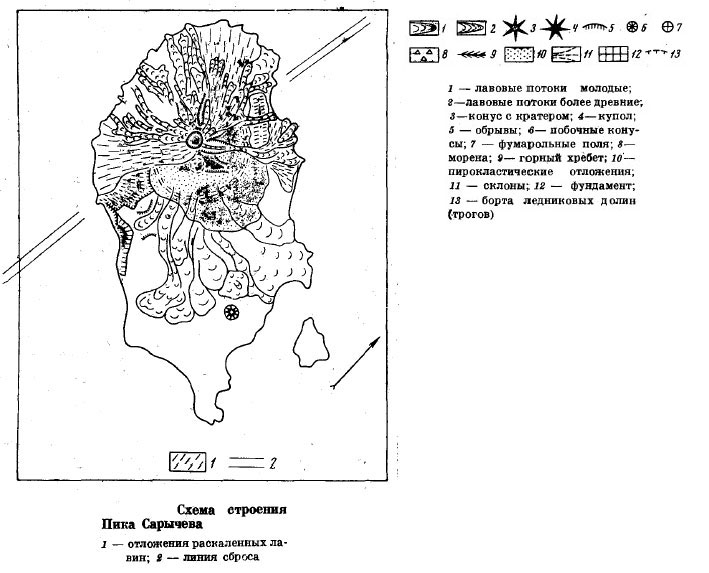 Scheme of structure of Zavaritsky caldera. 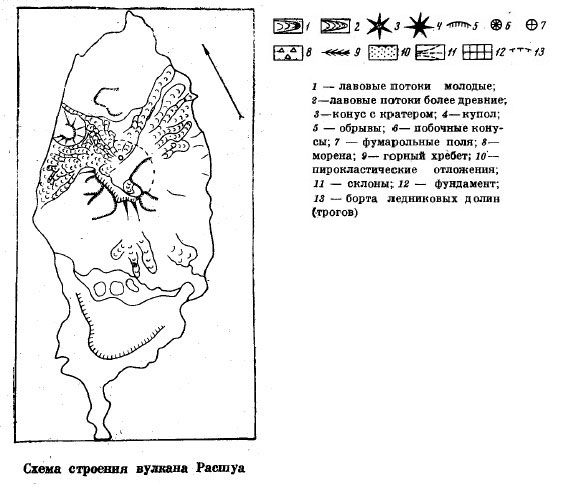 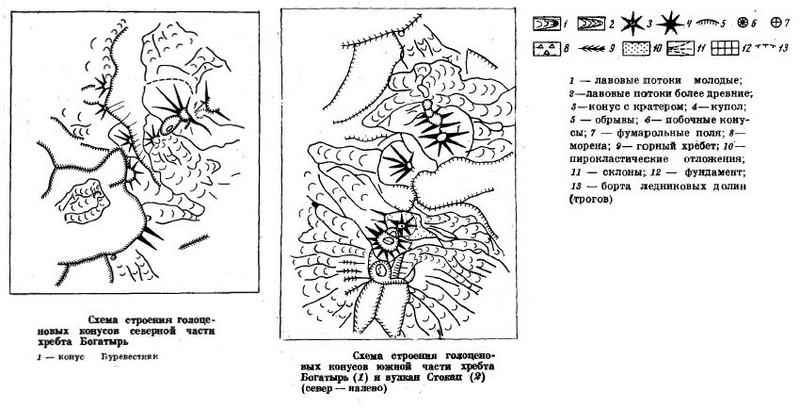 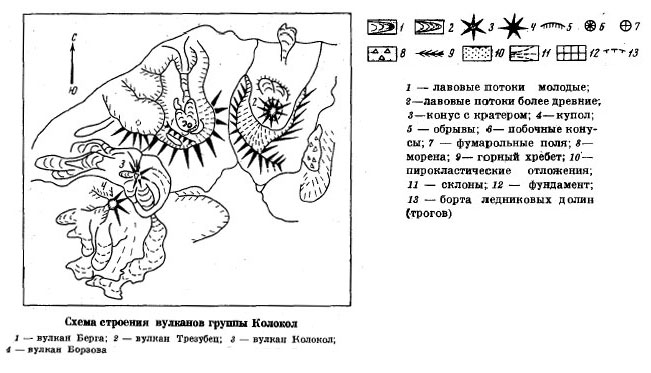 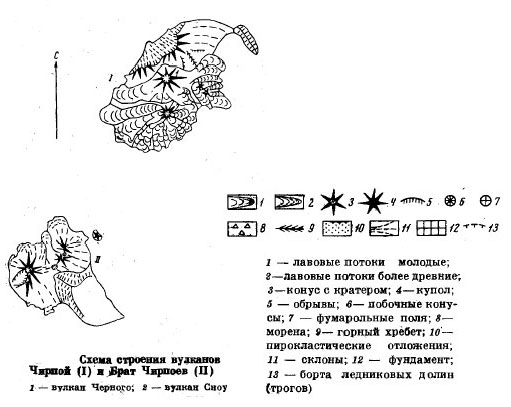 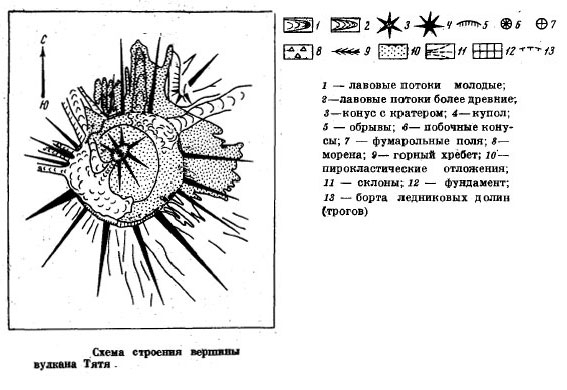 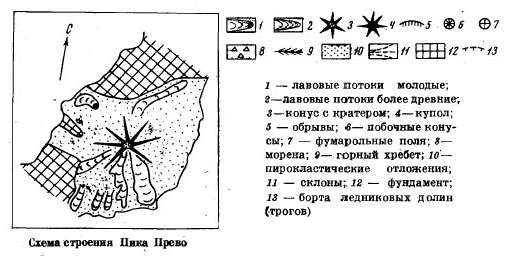 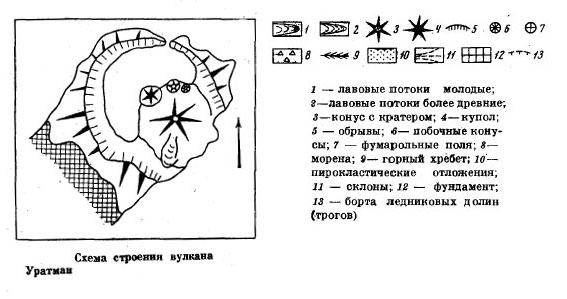 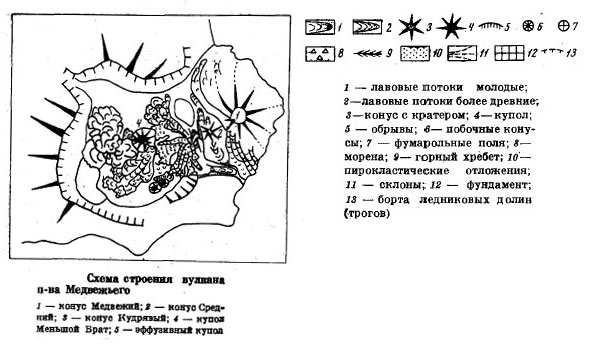 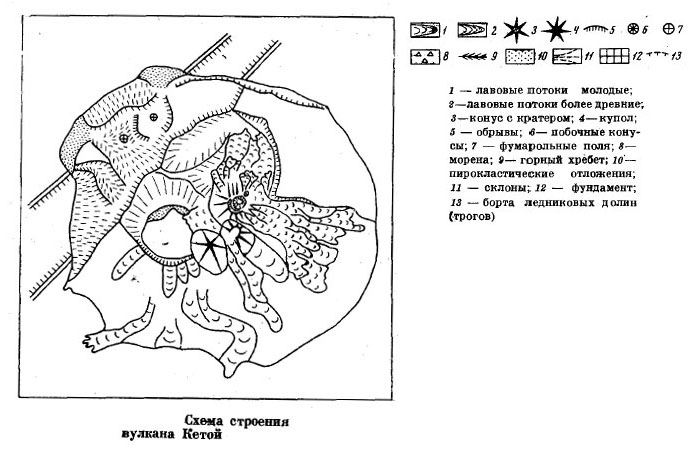 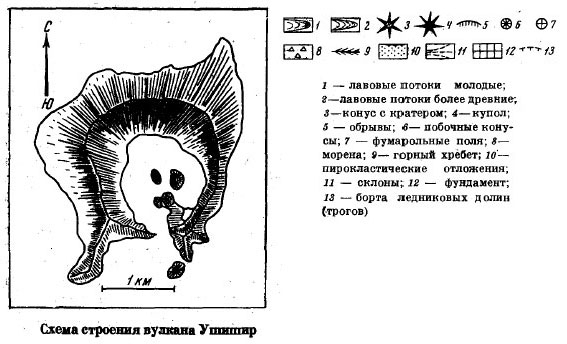 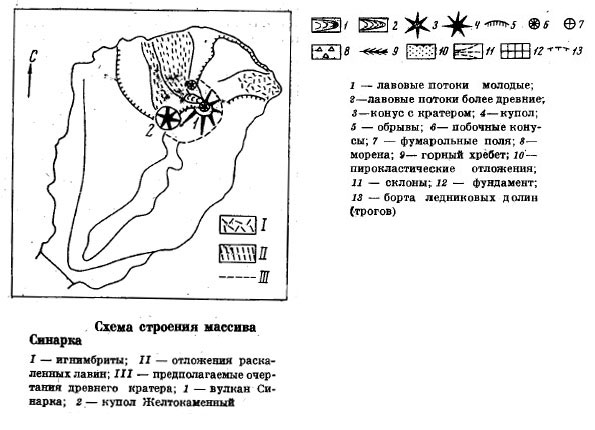 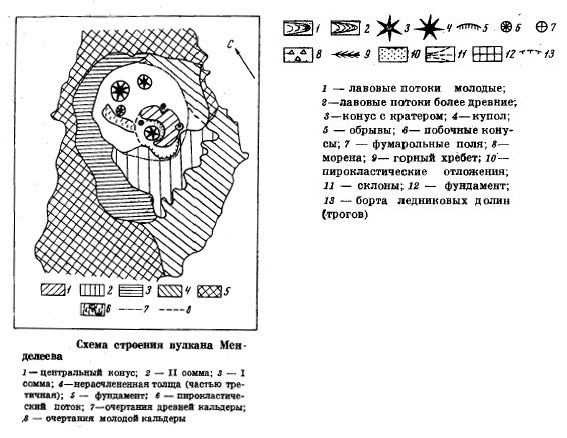 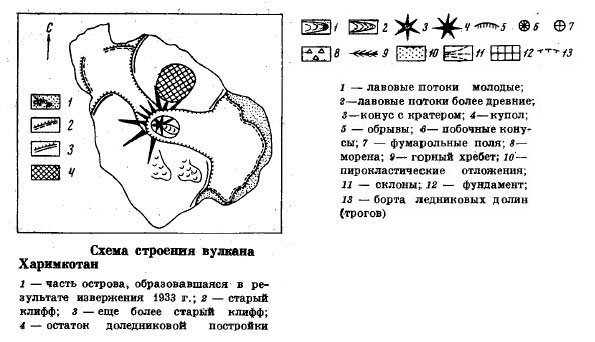 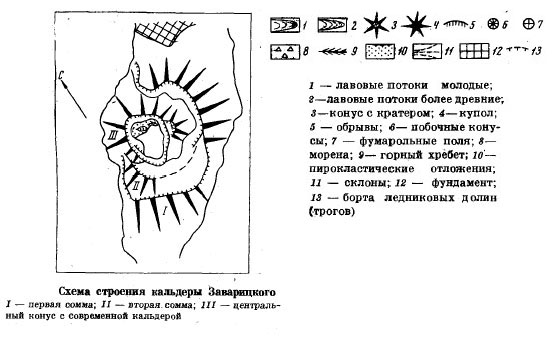 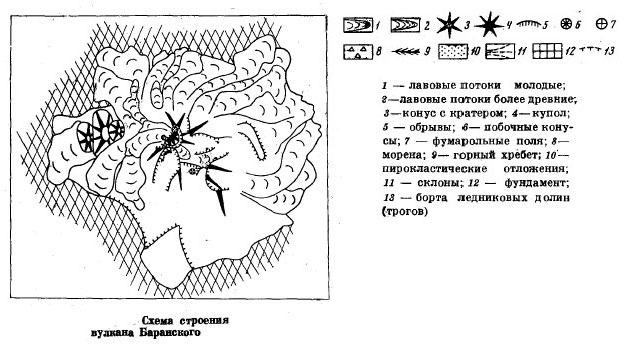 Scheme of structure Milna and Goryashchaya Sopka. 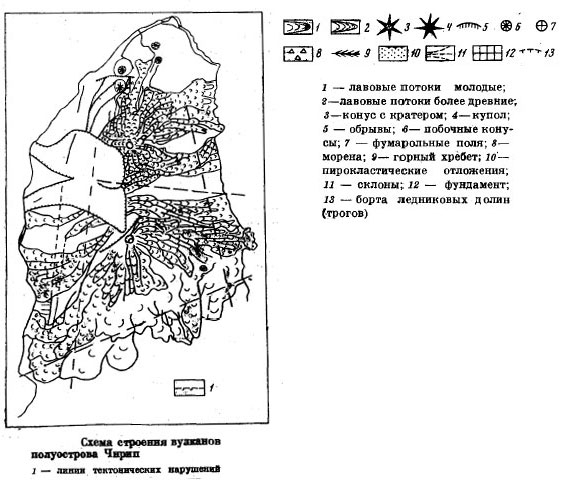 Scheme of structure of Kolokol volcano group.